Enplex Games’ upcoming survival MMO Population Zero has thus far distinguished itself from other multiplayer survival titles with features including a hand-crafted world, factions, a “refined” guild system, easy-to-learn crafting and building, and narrative storytelling inspired by classic science fiction. Oh yeah, and a deluge of dev blogs that surpasses what a lot of AAA companies put out about their MMOs. The most recent of these dives into the game’s planned faction system. “Factions are one of the essential parts of Kepler’s lore,” the studio explains. 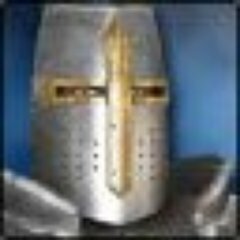 “Each faction is going to have its own unique stats, leveling and crafting systems. Faction choice affects the plot movement and character’s development. There are three factions in Population Zero at the moment (more are coming): Xenobiote, Technocrat, and Void (a kind of transition between the first two).” A player will actually become a Void first, gaining survivability traits, but then she can choose whether to go the Technocrat (human-aligned) or Xenobiote (nature-aligned) route – or just stay a Void. Check out the whole blog on the game’s official site. OW FFA full-loot PvP. Oh, excuse me. Survival. What a pity that they spend so much time creating an interesting world and then marginalize it with this kind of PvP. Population Zero features a free PVP. That means anyone at any time and any location (unless some specific circumstances that might be featured later) can come and kill you, destroy your home, take your loot. I understand your concerns but PVP and survival (including survival when meeting other players) is the major game content. We will be closely looking into players’ feedback and might deploy other features regarding this matter in the future. So don’t worry — if something won’t work as intended we will be right here to make things out.